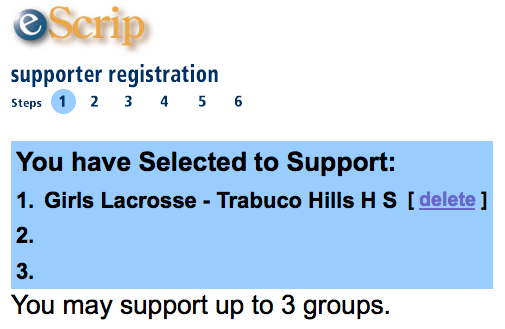 eScrip is an easy way to support Trabuco Hills Girls’ Lacrosse … just by buying groceries at Vons and/or Pavillions. When you shop, the team gets a small slice of what you spend. To sign up, please follow all the eScrip instructions until you have completed the registration. To start registration, CLICK HERE! You will need to search for “Girls Lacrosse – Trabuco Hills H S” … OR CLICK HERE … OR search for Group ID # 500006520! PS: If you often shop online, look at eScrip’s store — links to popular online shopping sites. Buying through those links, with a credit card registered with eScrip, can gain our team additional funds.